It's Sanctity of Human Life week and I'm so excited to have Angie Brashear over to ask some interview questions and give us a sneak peek at her new book Never Let Go. How fitting for the Sanctity of Life since her books deal with survival in dystopian-esque settings. Hi, Angie! We'll get right to the interview. Give us a couple sentences describing what you write. I write fantasy with a strong thread of romance. My goal is to reach young adult females much like the lost, lonely girl I once was. As a nonbeliever for the majority of my life, I enjoyed reading speculative fiction and it was the The Lion, the Witch and the Wardrobe by C.S. Lewis which ultimately opened my eyes to Christ. My prayer is that my stories will do the same for others. I also hope believers will enjoy the Christian undertones of my work. Because my stories represent persecution and spiritual warfare, the overall mood is dark. However, they are filled with adventure and heart-warming moments as well. Never Let Go will be released on June 3, 2014. The themes in Never Let Go surround persecution and spiritual warfare. Faster. She had to run faster. Wool cloak, constricting leather jerkin, pounding heart, burning legs—none mattered. For slayers pursued, blades drawn. She raced up the mountain trail. Slobbering grunts closed in. How in all the Woodlands would she escape the wrath of…she glanced back…five—no, six—slayers stomping through a sea of fallen red, orange, and yellow foliage? Shrill squawks sliced the evening, rippling the auburn sky. Ravens—a terrible sign. As of late, the feathered terrors seemed to follow her everywhere. Laila gripped the handle of her dagger tighter. If only she hadn’t insisted on scouting the base of the mountain alone. She’d be with Lars Landre. Safe. Less independent, but protected. She peered over her shoulder, her chest heaving. Slayers had closed the gap. She’d never make it back to camp without help. Maker, please protect me. WOW! What a gripping excerpt! I'm hooked already! Now, about you. Do you work a "day job" other than writing? Is there a secret/technique you’ve found that helps with balancing the writing and working life? I am the Director of Special Education for nine small public school districts and a mother of three. Both roles, while enjoyable, are also quite demanding. While I’m sure there are many wonderful secrets and techniques to balance writing with a full-time job, mine are quite simple. I pray a lot, eat healthy, and exercise. I attempt to blog [smile], though I’ve recently decided to focus my blog on efforts to promote fellow authors. Come hither and venture to other worlds at http://angiebrashear.com. Now some fun stuff... :) When you read, do you prefer paperback, e-book, or audio? Why? Definitely paperback. They’re much more versatile for all of the odd places I read, especially since I love to fold the cover back. Thanks for such a wonderful interview, Angie! God bless your new release! I'm so excited about it and I know readers will be too! When Angie Brashear isn’t working or taking care of her family, she writes. Usually at night after her kids fall asleep. She’s an avid reader and runner, both of which perplex her husband. Saved in her early twenties, Angie is grateful for the Lord’s presence in all aspects of her life. She is originally from Rockland, Maine and currently resides in Cameron, Texas with her husband and three children. Laila Pennedy awaits inevitable death. By means of murder. For the Rendow Clan rules the Woodlands, seeking to slaughter those whose faith lies in the Maker. To eliminate the weak. Her heart pounds. Standing in a line of Faithfuls, the rope pinches her neck as she gazes at her brother. If not for her failings, he’d be safe. Instead he balances on a barrel beside her, a noose chafing his neck. Death moves closer. She flinches with each thud of the executioner’s feet on the platform. Terror snatches hope from her grasp, though she isn’t surprised. For she’s weak, no more than a burden to those she loves—all seventeen years of her life. Yet a flicker of hope evades terror’s wrath. Found in the blue eyes of Lars Landre, the Chosen. The man destined to lead Faithfuls out of persecution. So when her brother’s life is taken, Laila seeks the path of a warrior and vows revenge against the Clan. Readers can like my page on Facebook at http://facebook.com/AngeBrashearAuthor and follow me on Twitter @AngieBrashear. I also welcome reviews on Amazon and Goodreads. Of course, readers can never go wrong with word-of-mouth and book club recommendations. I welcome any support readers are willing to give me. Natalie Here. Winner of Patty Hall's Hearts Rekindled from last week is SnoopyMcC!! Congrats!!! I'll be in contact with you soon! Thanks for being with us, Angie! How fitting that your characters lives are threatened since they're counted among the Faithful and we're talking about them during Sanctity of Life Week! More and more it costs people to serve Christ--if not their lives or safety, then maybe their friends or a job. Did you have any real life inspiration when writing for this novel? 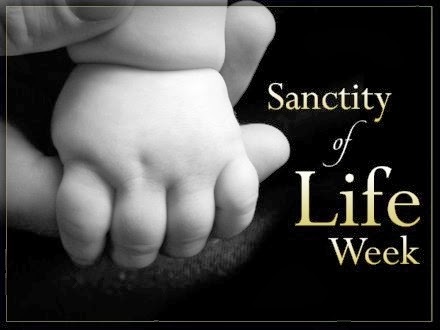 I didn't know this week is Sanctity of Life Week. Live that. Thanks for pointing that out. Good interview! "Hi Natalie! No real life inspiration as it relates to the persecution theme, though each main character's walk with the Maker reflects a component of my relationship with Christ. If anyone else has trouble commenting, please let me know at nataliedmonk (at) yahoo (dot) com. I've never read fantasy, but your book reminds me of the spiritual battle going on all around us everyday. We can't see it as vividly as you portray in your stories, yet it's there and we all need the full armor of God.